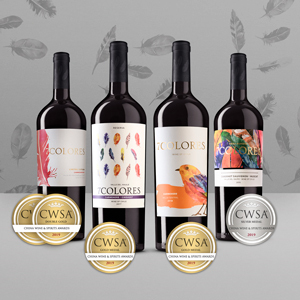 We were really pleased with our participation in the latest version of the China Wine and Spirits Awards (CWSA), held last February, where we received 4 medals in total, highlighting the Double Gold of our Limited Carmenère 2017. Gold Medal they received our Reserva Carmenère-Cinsault 2017 and Carmenère Varietal 2018, and Silver Medal for the Gran Reserva Cabernet-Muscat 2015. This entry was posted in 7C News. Bookmark the permalink. Santelices 2830, Isla de Maipo. Chile.